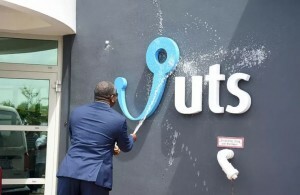 WILLEMSTAD - Negotiations between Liberty Latin America and the government of Curaçao on the acquisition of telecom provider UTS are at an advanced stage. This is according to sources within the telecommunication company. According to Minister Zita Jesus-Leito, in charge of telecommunications, a special commission, under the direction of the former director of the Central Bank, Alberto Romero, advises the government. The government has not yet decided whether and with what percentage the interest it continues to hold in the telecom provider. The sale of UTS Curaçao is separate from UTS Sint-Maarten. This branch is in discussion with Telem and possibly other strategic partners. Liberty Latin America is part of Liberty Global, the largest telecom company in the world. Liberty Latin America owns Cable and Wireless with Columbus / Flow. Liberty Latin America operates in twenty countries in the region.